Originally from Southern California, Chris has been a full-time resident of Leelanau County for 12 yrs now. When Chris is not installing and selling custom window treatments, he works as a Firefighter/Paramedic for the City of Traverse City Fire Department. Enjoying interior design and working with his hands, Chris has been in the Custom Window Covering business for 12 yrs and enjoys the challenge of providing the perfect window treatments for each client. Prior to being the Owner of Busters Blinds, Chris was an installer specialist for Busters Blind Factory, where he was taught all the necessary skills and fundamentals of the window covering business. Chris is dedicated to his customers and believes that when he leaves a customers home for the final time, they are 110% satisfied! 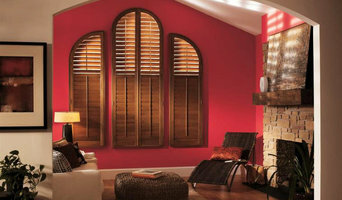 Hi, my name is Lisa McGowan, Window Treatments and interior design have long been a passion for me. Over the last 25 years, I have worked with hundreds of people in northern Michigan. From an entire home, cottage, or business, to a single room. I will help you design and beautify your space from start to finish. 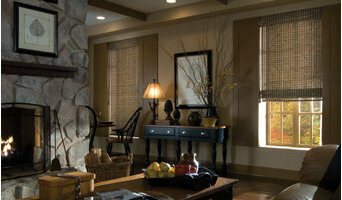 I will provide you with quality custom blinds, shades, valances, and draperies. Starting with a free in-home estimate with samples of blinds, shades and fabric swatches to meet your home decor. Finishing with a free expert installation. I have done large and small projects from: Cheboygan, Petoskey, Harbor Springs, Indian River, to Mackinac Island, St. Ignace , Drummand Island, and many towns in between. Fast, friendly, quialty service is always my top priority. "When you call me, you get me." Owned locally as a family business for 12 years. Owners Lynn and Dave took over Lynn's parents business to continue the superior customer service delivering quality custom window treatments to fit any budget. We come to your home or business for a free in home consultation to help you reach the goal you would like to accomplish for each and every window. Budget Blinds carries the best warranties in the industry. 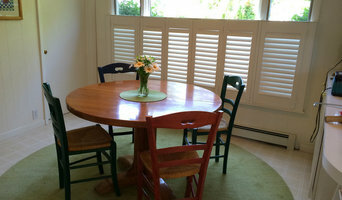 There are many choices for window treatments that we can have made to fit any window or door. They include, Shutters, Draperies, Motorization along with Home Automation, Wood and Faux Wood Blinds, Solar and Roller Shades, Cellulars and Vertical Cellulars, Vertical Vane Blinds, Roman Shades of any style and many sizes, Window Shadings and Illusions. We would be happy to meet with you. Just give us a call or email to schedule an appointment. Window treatments perfection at a pleasing price. Call Doug for a Blind Date. Beautify and customize your environment! The unique decorating choices you make reflect your integrity and style. Choose Gerta’s Draperies for infinite options and quality service.